I am a Vegan and would like you to consider my perspective. God is a term that simply means Creator. We are Sovereign , Divine, and Free Spirits. I used to be a Bible Freak until I researched and discovered the massive lies. 1 Corinthians 13 is the Acid Test to sift truth from lies in the Judeo -Christian Death Cult, There is no killing in love, no, murder , no hate, no vengeance, no jealously. There is No hell, that was invented by religion as a fear, guilt, and control matrix. I only hold to unconditional love for everyone. We are energy beings in a meat suit. Love is the highest vibration and when we take our last breath and continue on our journey, our Love Vibrations will lead us to beings who are on our Unconditional Love Vibrations. I used to be a Radical Love Atheist until I discovered The Secret Book of Wisdom. That is a Creator.my inner standing resonates with In the glossary in that book it states the following: “Any spilt blood -of either man or animal- attracts a host of lower spirits who are drawn to any form of decay, thus cementing the near-Earth space with negativity. These lower spirits influence the human mind and body, bringing consequences in the form of illness. For this reason meat of any kind can engender all sorts of diseases. Thus someone who increases the burden of their Karma through eating corpses shows a criminal attitude, not only toward the animal world and their own bodies – both physical and subtle- but also toward the whole planet and region of surrounding space”. The First Sin was the shedding of blood both human and animal. I do not believe their were any meat eating animals or fish until blood was shed on this planet and that changed everything and screwed up this Planet. This book will blow you away by what it says about the shedding and eating of blood in the glossary under the heading of blood. Spiritual facts on blood that Vegans will love. 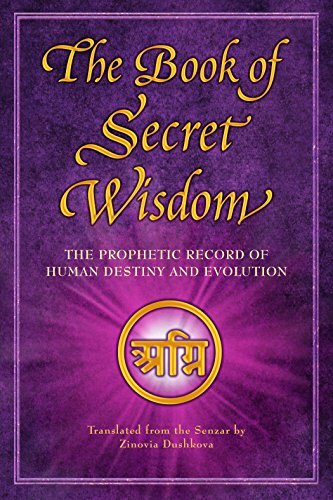 I cannot stress how important it is for you to purchase the Book of Secret Wisdom. Kindle or Hardback. It destroys the meat eating myths! The glossary definition facts on blood alone is worth the price. 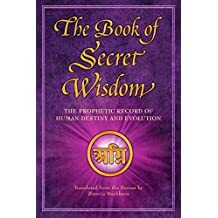 Author vegananarchistPosted on February 8, 2018 February 8, 2018 Categories BOOK OF SECRET WISDOM, SPIRITUAL VEGAN FACTS, Uncategorized, vegan, VEGAN FACTS, VEGAN TRUTH, VEGAN TRUTH NUGGETS, VEGANS ROCKTags BOOK OF SECRET WISDOM, vegan, VEGAN FACTS, VEGAN TRUTH, VEGANS ROCKLeave a comment on Spiritual facts on blood that Vegans will love. How willfully ignorant are Meat Eaters? Pathetically Ignorant! A meat eating lion’s teeth move up and down, not like humans who chew sideways. Meat eating animals have a short intestine, so the meat moves out of their system quick, unlike meat eaters, who have a long lower intestine, and thus rots, and causes diseases and distress. Author vegananarchistPosted on December 16, 2017 December 16, 2017 Categories MEAT EATING FACTS, PROOF MEAT IS BAD FOR YOUR BODY, REFUTING MEAT EATERS, Uncategorized, vegan, VEGAN FACTS, VEGAN TRUTHTags FACTS 4 MEAT EATERS, MEAT & YOUR INTESTINE, MEAT EATING FACTS, MEAT IS BAD 4 YOUR BODY, REFUTING MEAT EATERS, vegan, VEGAN FACTS, VEGAN TRUTHLeave a comment on How willfully ignorant are Meat Eaters?